We could be technical and say that it’s 12 (if you included Special Force, Mythologies: Sub Zero and Shaolin Monks) or 15 if you include Trilogy, Gold, and Ultimate.. Okay, stop.. You get the friggin idea already.. 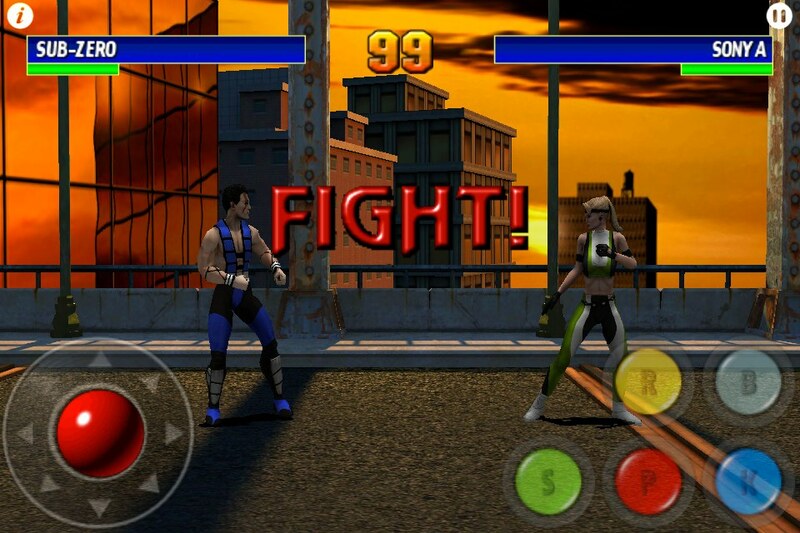 Lets talk about Ultimate MK3 for the iPhone. 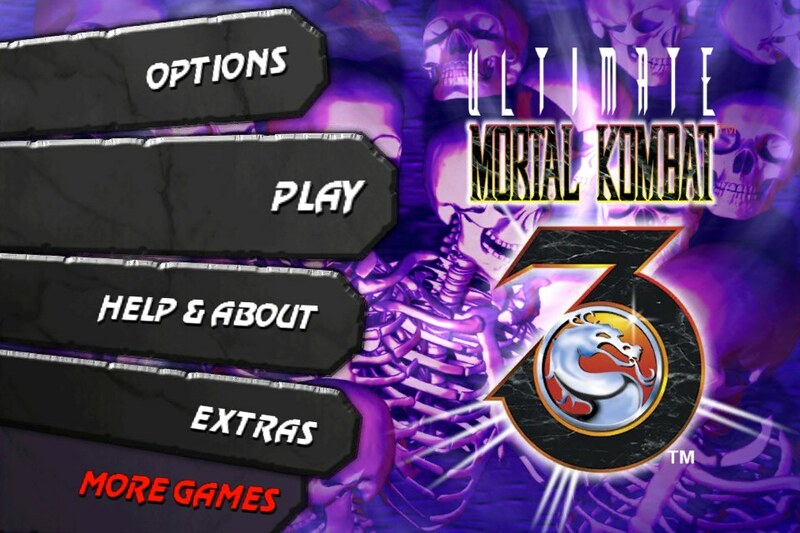 Released by Warner Bros. Interactive and EA Mobile, we see quite an interesting re-boot of the original UMK3 (as it will be called here on in). 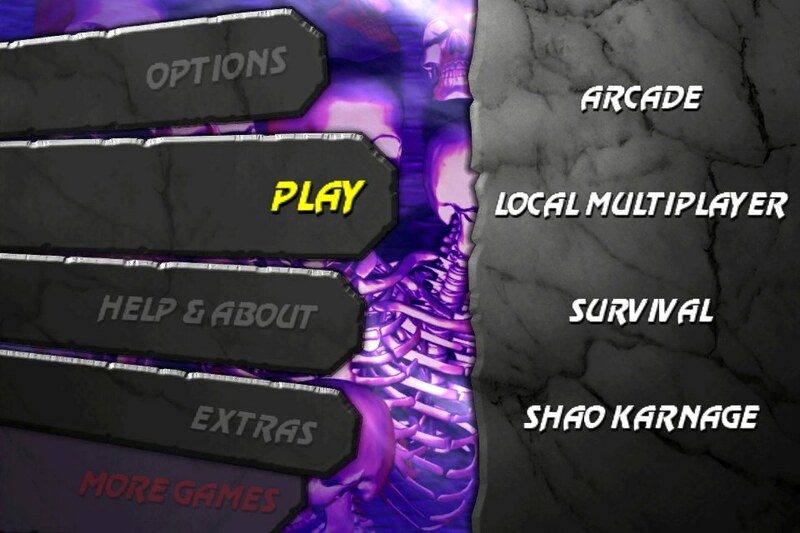 – Shao Karnage: Where you fight Shao Kahn for points. No damage/loss made for either fighter, it’s all about score. 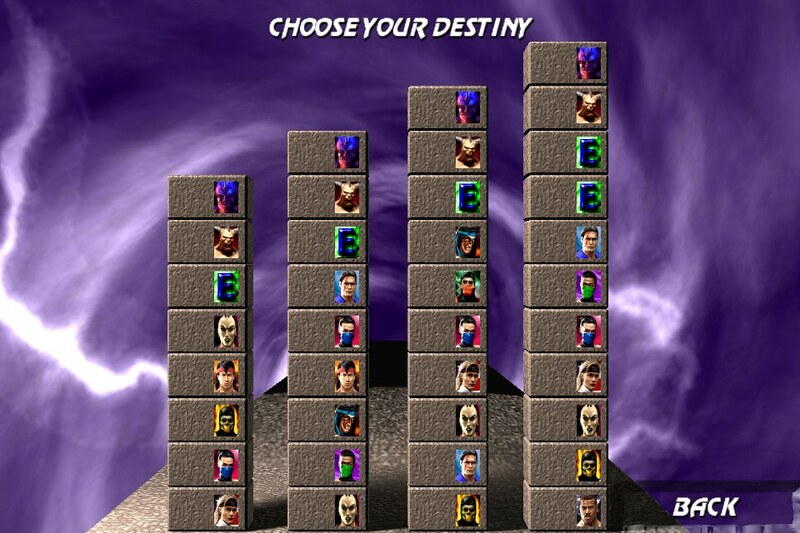 If any of you have played portable versions of Mortal Kombat in the past, would recall that portable devices and 8-bit home consoles had quite a minimal selection of characters for some strange reason. As well as that, minimal controls for such a game, say the SEGA Master System: Directional pad, buttons 1 and 2. That was it.. No High Punch, no Low Punch, Block, or High/Low Kicks. 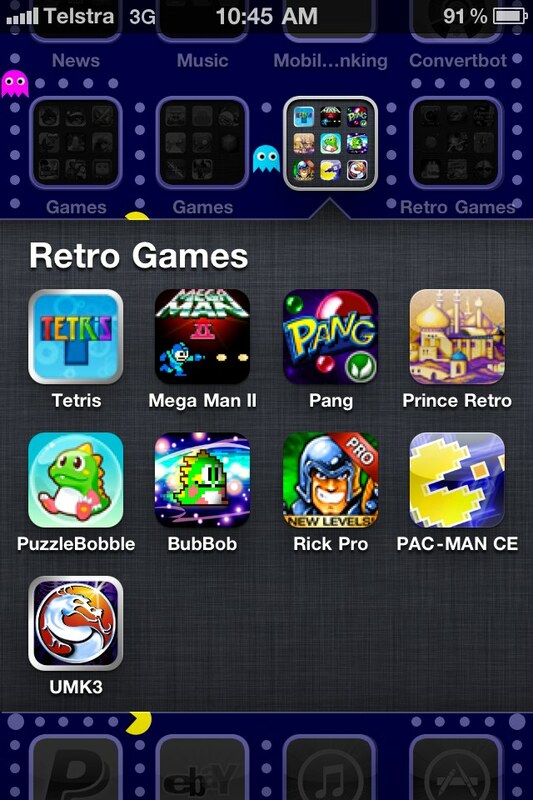 Same on the Game Boy, and Game Gear. 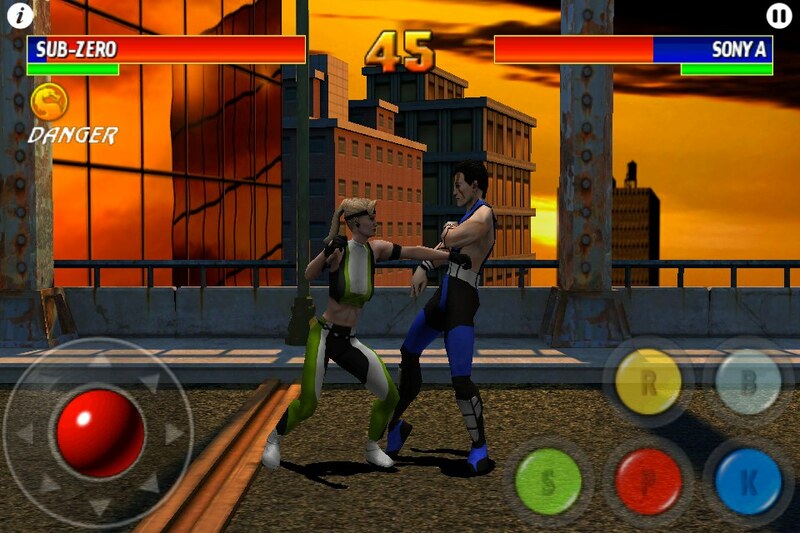 For ground sweeps/roundhouse kicks, you hold the joystick back or forward whilst pressing kick. Uppercuts are still there, as for the S button? Consider it an option, you can still perform moves with the joystick and punch/kick buttons. 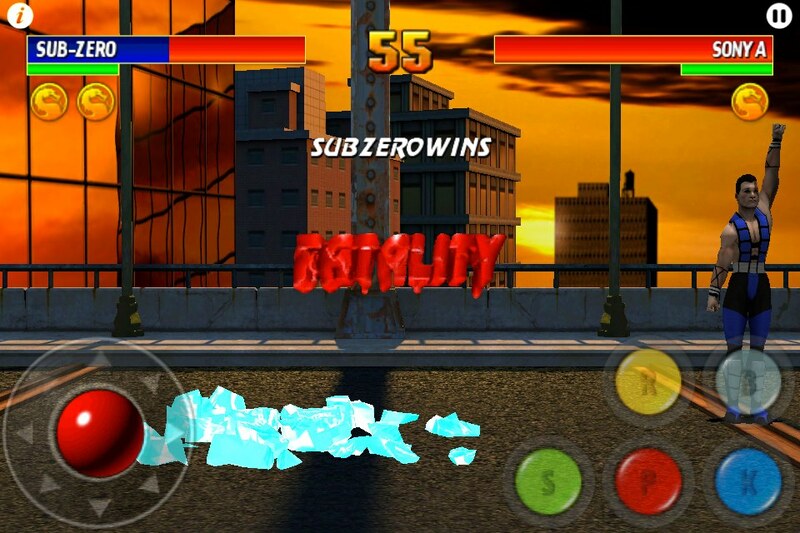 Performing special moves are quite intriguing, lets take Sub Zero for example. To do the standard ice ball, you go down, forward low punch right? Down, forward, punch works on this, but also pressing S. Ground slide is back, block, low punch, and low kick yeah? hold down and press S. You get the picture. Fatalities? Sure! Still trying to figure that out, stand a certain distance? press S? Yeah.. 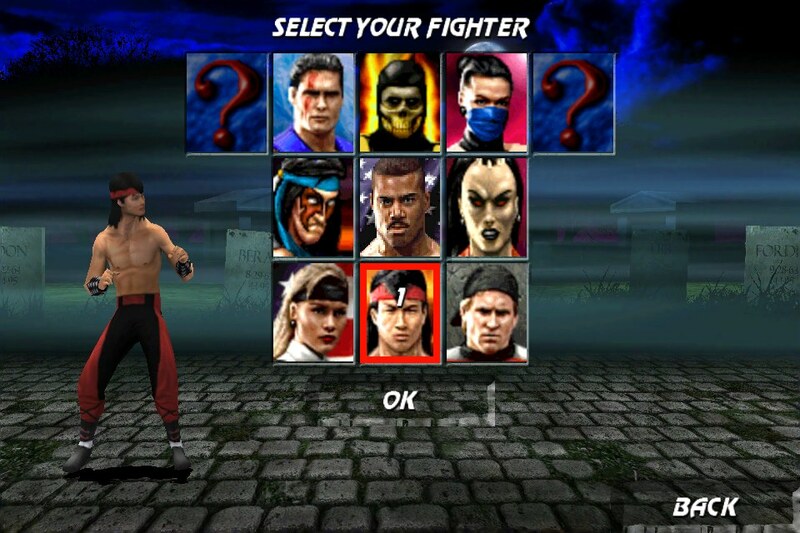 I should also mention that the (i) icon in the top left is your moves list (which changes depending on the control system you have configured)..
Or if you’re really game.. get the ol’ 6 button system back with said Low/High Punches and Kicks, which then you need to perform all the moves and fatalities properly. Nyawwww Babalities.. Friendships are also included.. Anyway.. So the graphics as you see in the game are revamped and the characters are now 3D. Also with the iPhone 4 and iPod Touch Retina-Display screens, holding higher resolutions, you definitely notice it with this game. 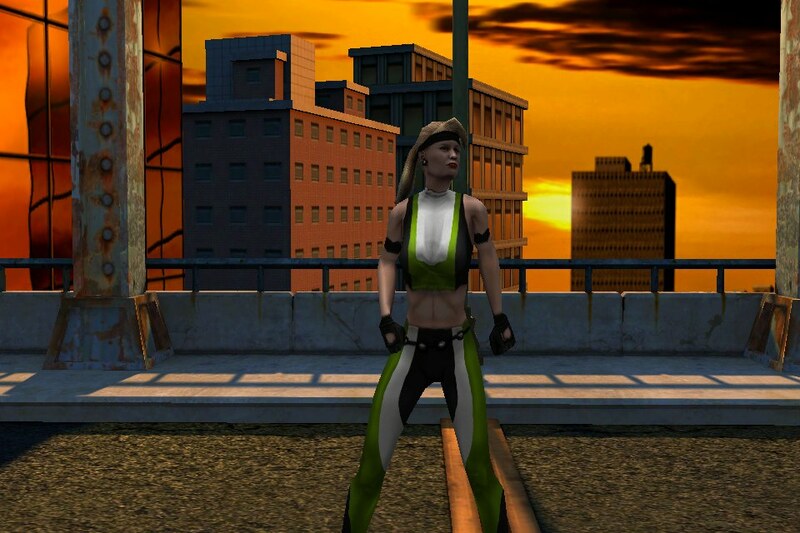 The backgrounds are in 3D and higher resolution as well. The game’s overall engine feels quite solid (pretty alright collision detection) for performing attacks, combos and moves. The sound is what you expect.. higher quality samples from UMK3. Controls however take some getting used to, that is no lie! 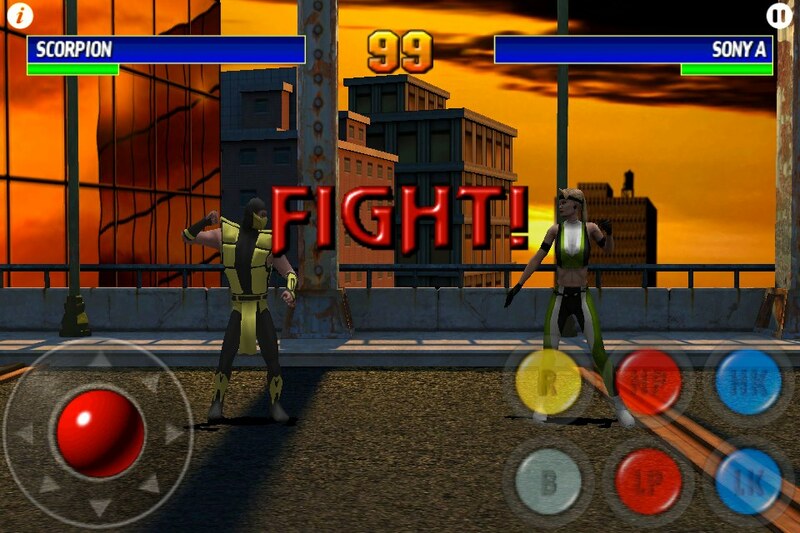 Controls in fighting games on the iPhone are quite fiddly, do-able, but fiddly all the same. If you are a fan of Mortal Kombat (like I am), then get it. Great to impress mates with, or if you need to take a bash at someone (preferably digital) then this is not a bad reboot for a button-less gaming platform. If one is to ask if this is a good game to wet the beak until Mortal Kombat for the 360/PS3 come out? I would nod slowly. – good enough to wet the beak till Mortal Kombat comes out on the next-gen consoles, or if you’re away from said consoles.